Pottery making has been part of the Nicaraguan culture since pre-Colombian times. 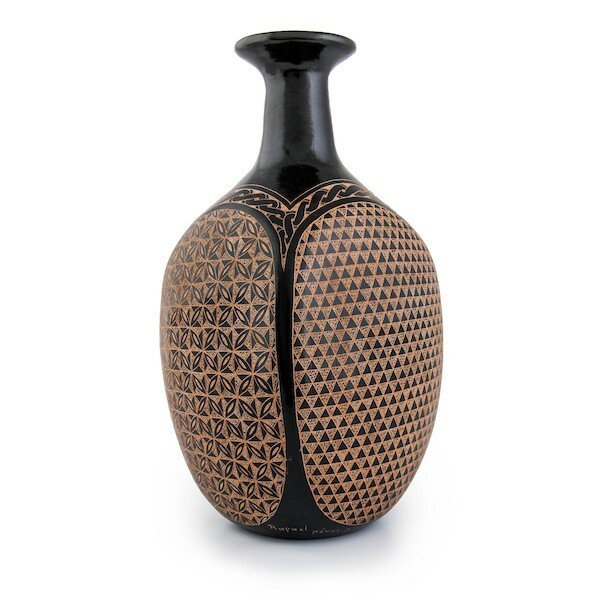 This traditional clay vase has a triangle and floral repeating pattern finely incised on alternating sides. A beautiful example of the unique craftsmanship found in Nicaragua.